Legendary manga author and anime director Katsuhiro Otomo has been making an appearance at the comics festival Angouleme in Paris as Guest of Honour. Speaking at a press conference this past weekend Otomo surprised attendees when he suggested that a new adaptation of Akira was in the works. 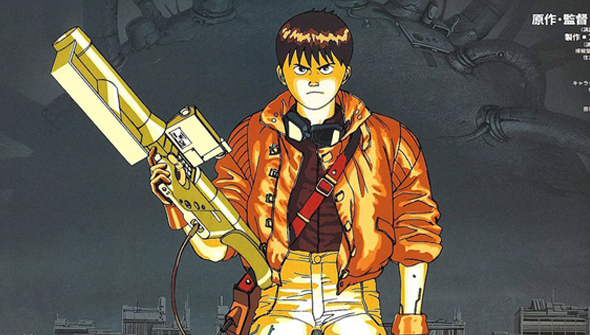 Otomo was asked about the possibility that he might consider another adaptation of his legendary comic opus one day that would go further than the original 1988 movie. Neither the person who asked the question or the audience could have been expecting the answer that came. He replied that a series was currently "under study" but that he could not say any more at this time. The report comes from a French language site (Manga News) and Otomo was presumably talking in Japanese at the time. So it's worth bearing in mind this is coming through several levels of translation so misunderstandings are a possibility. We're not clear that what stage any such project is as- whether it is actually in development or is just under consideration at this time. If this is true though: this is big. Very big. The original Akira movie is considered one of the classics of anime- and of sci-fi cinema in general, and with good reason. However it represents just a fraction of Otomo's epic original manga, which ran between 1982 and 1990. There's certainly a lot of room for an alternative, more faithful adaptation that could run for quite some time. An Akira TV series would certainly be the biggest deal in anime for some time and would be a no-brainer from a commercial perspective. Everyone involved would most likely be extremely careful to get it right though- as that is not something you want to screw up. Which means- we're probably not likely to see it anytime soon. Could it even be planned to tie in with the 2020 Tokyo Olympics- an event which was predicted by the manga some 30 years earlier? Or - perhaps more likely- maybe for the film's 30th anniversary in 2018? Are you excited to see a new Akira adaptation? It's a better idea than the long-gestating Hollywood adaptation at least!